The Heihe - Blagoveshchensk Heilongjiang River (Amur River) Bridge is a bridge being constructed at a total cost of CNY 2.4 billion. It will connect Heilongjiang Province, China to Amur State, Russia. The Long Jian Road & Bridge Co., Ltd. is responsible for all civil construction for the 19.9-kilometer Armur River Bridge project. 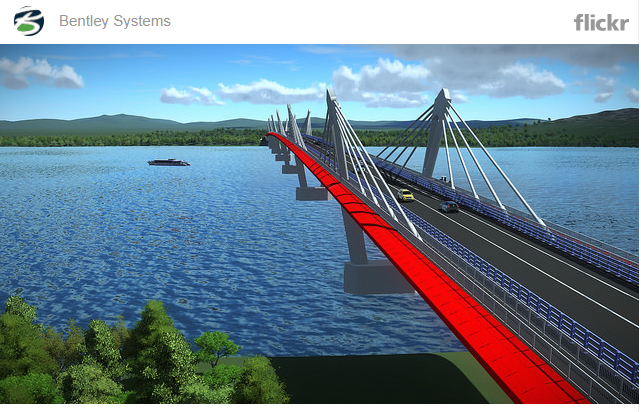 Bentley technology helped Long Jian Road & Bridge Co., Ltd. solve engineering challenges it faced in a complex construction environment, enabling high levels of collaboration and increasing project management efficiency by 25 percent on the project. As the first road bridge over the Heilongjiang River, this project forms an important part of China’s Silk Road economic zone. Construction of the 1,284-meter Amur Bridge, which connects the 6.5-kilometer Chinese section from Changfatun, Heihe City with a 13.4-kilometer Russian section to Canikulgan Village, Blagoveshchensk City, commenced in 2016. 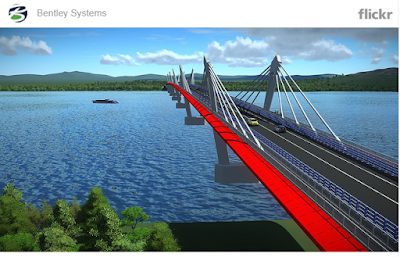 The team met quality and cost objectives through the use of Bentley software, leveraging OpenBridge Modeler’s 3D parametric modeling to achieve the required accuracy levels for the bridge’s superstructure and RM Bridge’s finite element analysis to simulate pile foundations and main beam and other structures to optimize structural strength, rigidity, and stability. Long Jian Road & Bridge Co., Ltd. also created a 5D BIM common modeling and connected data environment based on MicroStation, Bentley’s discipline-specific applications, and ProjectWise, which greatly enhanced collaboration and coordination for the different disciplines involved in the construction of the bridge, roads and culverts, civil works, and frontier inspection area, and related traffic engineering.